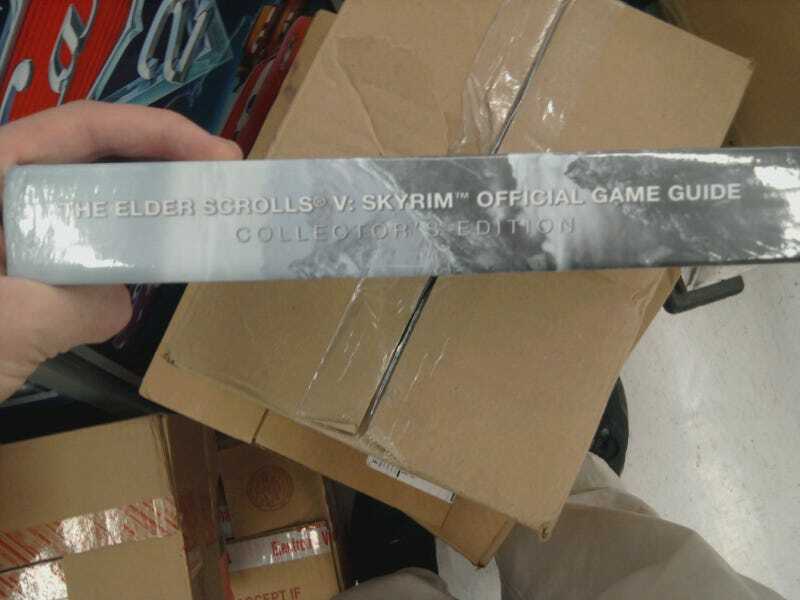 The Elder Scrolls V: Skyrim has a collector's edition. And that collector's edition has a strategy guide. One Kotaku reader snapped some photos of it to show just how big it is. The strategy guide comes with a "Free Access to the Interactive World Map" code, some shrinkwrap, and what looks to be a fancy cover and nice binding. Remember, it's not the size of the strategy guide, but how you use it.